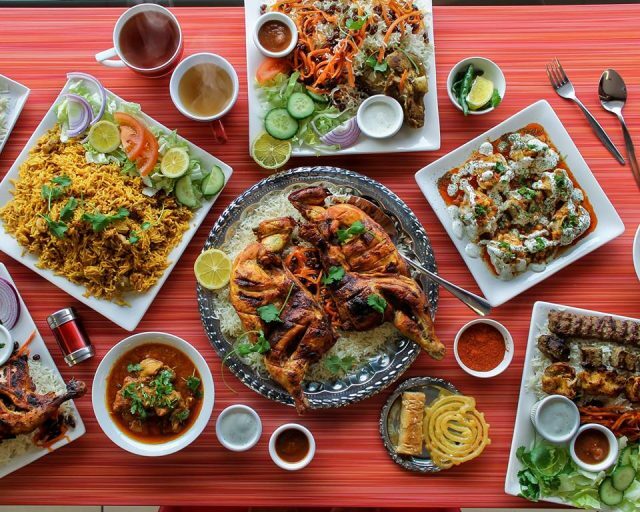 The Afghan cuisine is known for its aromatic and flavorful dishes, and many people from around the world travel to Afghanistan exclusively to get a taste of it. Here you will get acquainted with a few of the iconic Afghan dishes including baked items, fast food, main course items, and desserts, along with their regional names, and basic ingredients. What is it: Also called ‘Aushak’, it is a common menu for public holidays and Islamic festive gatherings like Eid and Ramadan. This dish is made of pasta dumplings stuffed with scallion. It is usually served with a meaty tomato sauce. The meal is often enjoyed with yogurt and dry mint garnishes. However, a vegetarian variety is also available. What does it taste like: The dish is quite spicy, primarily because of the addition of the tomato sauce. The flavors of yogurt and mint further add to its taste. 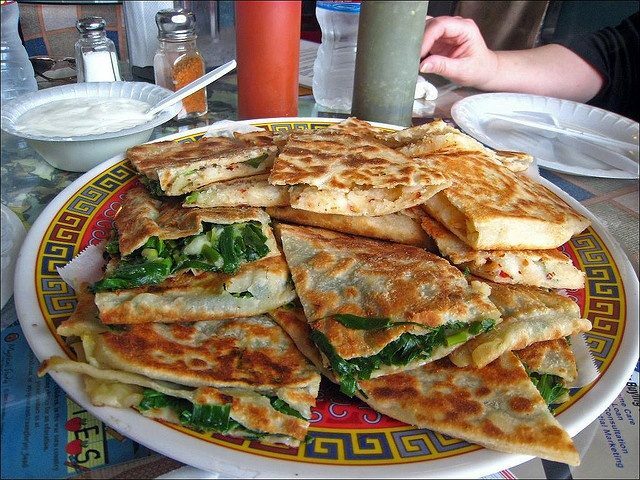 What is it: Also known as Perakai or Poraki, this Afghanistani bread is prepared either by baking or frying and has a vegetable stuffing made of different types of ingredients like potatoes, pumpkin, chives, lentils, and leeks. What does it taste like: The thin crust is easy to chew, and the herbed veg stuffing, especially when enjoyed with other main-course dishes, is bound to steal your heart. 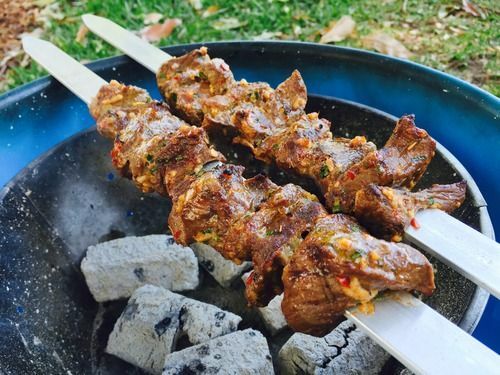 What is it: As the name suggests, this is a typical Afghan kebab made from meat that is marinated for a specified period, and then barbecued or roasted in an open fire on skewers. It is traditionally made from sheep meat. However, variations of chicken and other meats are also available. What does it taste like: The slow cooking process gives it an exceptionally gratifying taste, and the meat becomes so tender post-preparation that it will melt in your mouth. It is best eaten with the Afghani green sauce. 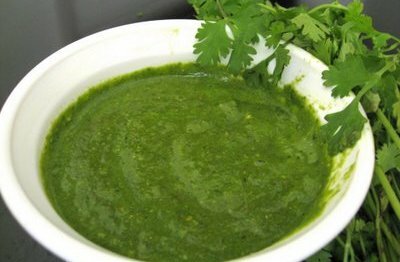 What is it: Made from a variety of spices, this is a common sauce from Afghanistan used as a dip for enhancing the taste of the other main courses. What does it taste like: The strong aroma of raw garlic, lime juice, chilies and other ingredients give it a typical Afghani taste that perfectly matches with all kebabs and fries. What is it: This is a famous Afghan dessert dish, but can also be consumed as a sweet snack. Primarily made from gram or all-purpose flour and then dipped in thick sugar syrup, these are usually circular shaped, forming a distinct motif. 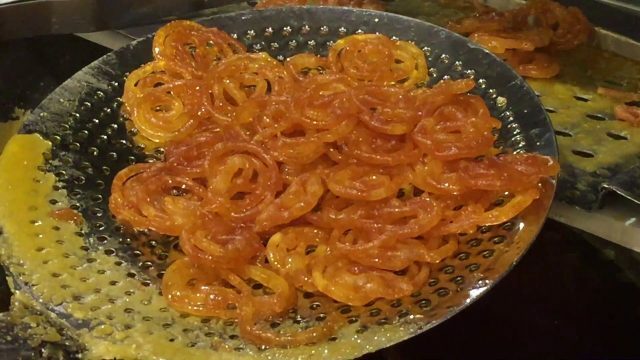 What does it taste like: Just-fried jalebis are crispy. The sweet has a distinct flavor of the gram flour batter, and it tastes best when you bite it hot. What is it: Also called Sheer Khorma’ (literally, ‘milk with date plum fruits’), this specifically Muslim dish has a thick consistency. 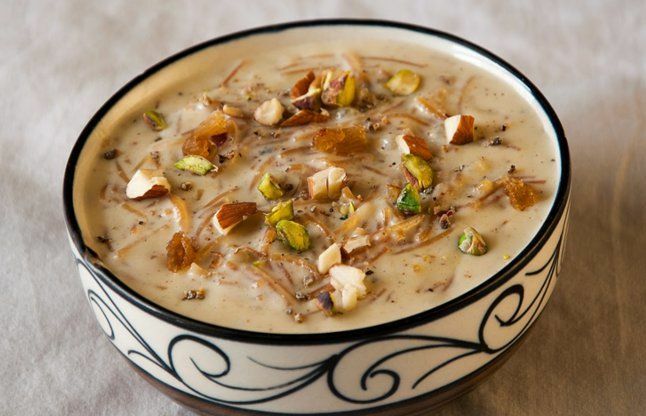 It is first served as breakfast after the morning prayer during Eid, and then to the guests as dessert. What does it taste like: The combined aroma of vermicelli, saffron, whole milk, sugar, nuts, dates, and rose water, render a gratifying taste to it. You can try it both warm and cold. 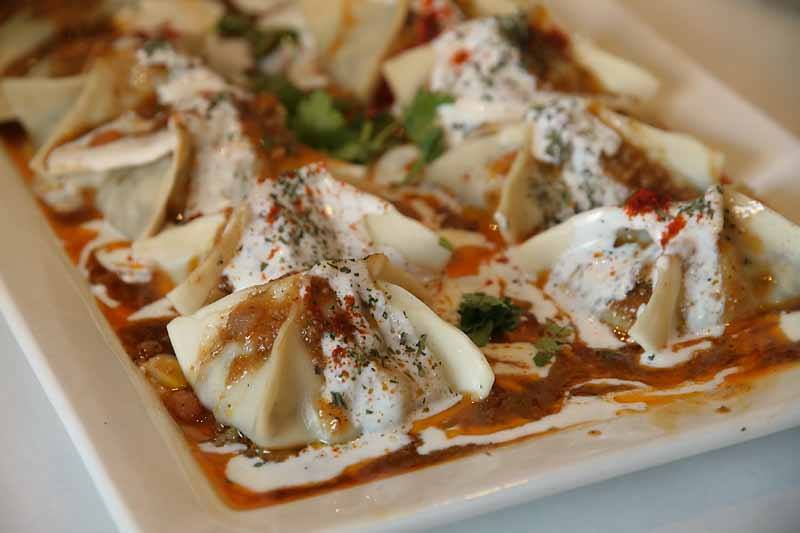 What is it: Also known by other names like ‘Manto’ or ‘Manti’, these are dumplings made from minced or ground meat and is a common street food. Because it is steamed, the cooking process is easier. This gluten-free dish is healthy, and with a less oil content that makes it easier to digest. 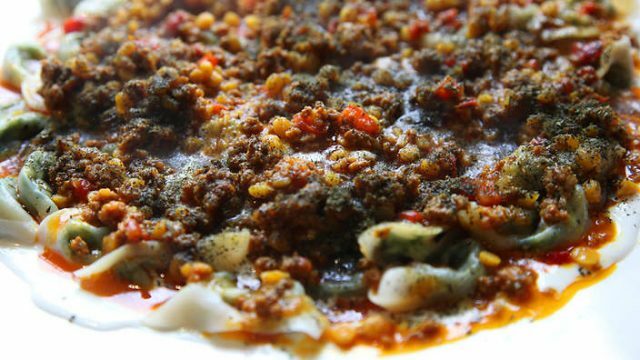 What does it taste like: The meat stuffing has an aroma that comes from the Afghan spices used to prepare it, while the thin outer layer that envelopes the filling also has a specific flavor. You should try this dish with the accompanying tomato and yogurt sauces, or with ‘Quroot’ (or ‘Qoroot’, a sour cheese from the Afghan cuisine). What is it: ‘Kabuli Pulao’ or ‘Qabli Palaw’ is a generic name for a variety of pulao (pulav) menus from Afghanistan, all of which are prepared using the same cooking method. This dish originated in the northern part of the country and is one of the most popular dishes in the country. What does it taste like: This tasty rice dish can contain a variety of spices, vegetables (including carrots), nuts, and/or meat (especially lamb), with the ingredients varying from region to region. The flavors too differ largely, depending upon the herbs, spices, and ingredients used. 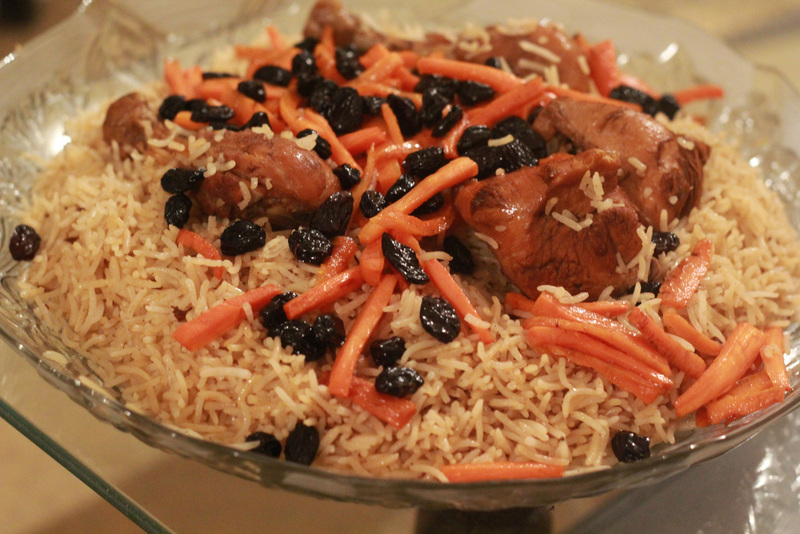 The cuisine from Afghanistan was primarily influenced through its border trade routes with different countries. From Iran (the then Persia) came the coriander, mint, and the cooking style using veggie greens like herbs, spinach, etc. Mongolia contributed the noodles and dumplings, while from India came the chilies, pepper, and other spices like cardamom, cinnamon, cloves, cumin, and nutmeg. If you want to get the authentic taste of these classic fusions, you will have to visit the country at least once in your lifetime!